PlayStation Vita Is NOT Region Free? Houston we have a problem! 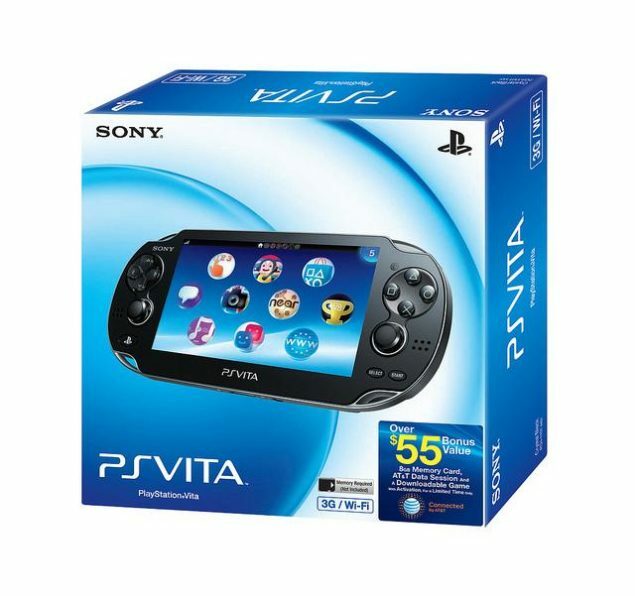 Months after the announcement of the Vita it was announced that the handheld is region free just like the PS3 where any region game can run on any region of console but it seems that one Sony customer got very angry when he found out that this is not true and that all the sites “misinterpreted” Sony’s statements. This is surely going to put Sony in an awkward position as many gaming sites confirmed that the system WOULD be region free but Sony never spoke out about this, This is surely trouble in paradise for Sony if it does prove to be true. I’m sorry for any misinformation that has been provided to you, as all of our PlayStation® products our region coded we cannot guarantee any other claims regarding this situation. I sincerely apologize that the information I have provided to you may not have been to your satisfaction, and would like to provide you the opportunity to speak to one of our representatives at your convenience. 1-800-345-7669. Our representatives are available to assist you Monday through Saturday 6:00 a.m. – 8:00 p.m., and Sunday 7:00 a.m. – 6:30 p.m., Pacific Standard Time. We value your input and appreciate you bringing this to our attention. Please rest assured that we will convey your feedback to Sony Computer Entertainment America, LLC’s (“SCEA”) appropriate management. what the ****. 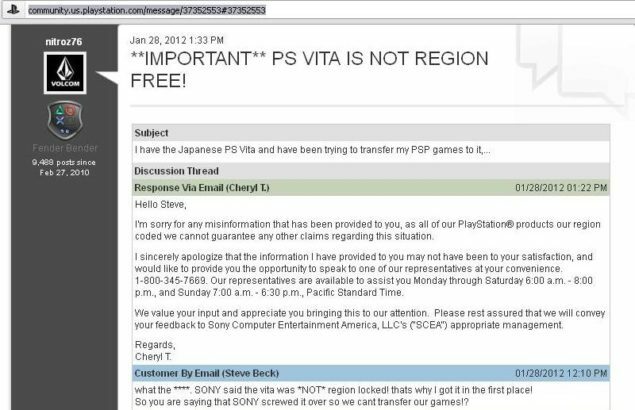 SONY said the vita was *NOT* region locked! thats why I got it in the first place! So you are saying that SONY screwed it over so we cant transfer our games!? Thank you for taking the time to write us with your concerns about being unable to transfer your games from your North American PlayStation®Network account on your Japanese PlayStation® Vita. I can understand how this can be frustrating and I will be happy to explain. Sony Computer Entertainment, Inc. (SCEI) has implemented a territorial-based distribution system for its hardware, peripherals, and software. This means that software or peripherals on a console designated for a different distribution territory than the console may not work correctly (e.g. North American games may not function in a system designed for other regions, such as, Japan, Europe, etc.). I have double checked the information that I have provided concerning the situation you have encountered with being unable to transfer your games from your North American PlayStation®Network account on your Japanese PlayStation® Vita and I am confident this addresses what you are looking for. Please let me know if I can be of any further assistance. Thank you for your time and patience. Thank you for contacting Sony Computer Entertainment America, LLC (SCEA). We have received your question. Our agents respond to emails in the order they are received. Depending on volume, we typically reply within 12 hours. We appreciate your patience. For immediate online support, please visit our PlayStation Knowledge Center at http://us.playstation.com/support 24 hours a day. I have the Japanese PS Vita and have been trying to transfer my PSP games to it, but the games won’t show up under content manager when they should. I have followed instructions to transfer them, but no luck. I have both Mod nation and Little big planet PSP games on my PSN account from the welcome back program and they are on my PS3, uninstalled. So when I turn on content manager to transfer them to my vita, they won’t show up on the content manager and I followed the instructions precisely. I have the US psn and the US ps3 slim. Can some help be offered? I know transferring the games IS possible, but whats up? And there you have it folks, proof that the system is not region free after all and that the above mention sites “misquoted” Sony. What is really surprising is how Sony never responded to these sites just like they were so quick to shoot down rumors of a PlayStation 4 not making a show at this years E3. They had plenty of months to remove this “confusion” but they chose to remain silent. Could this really be true? 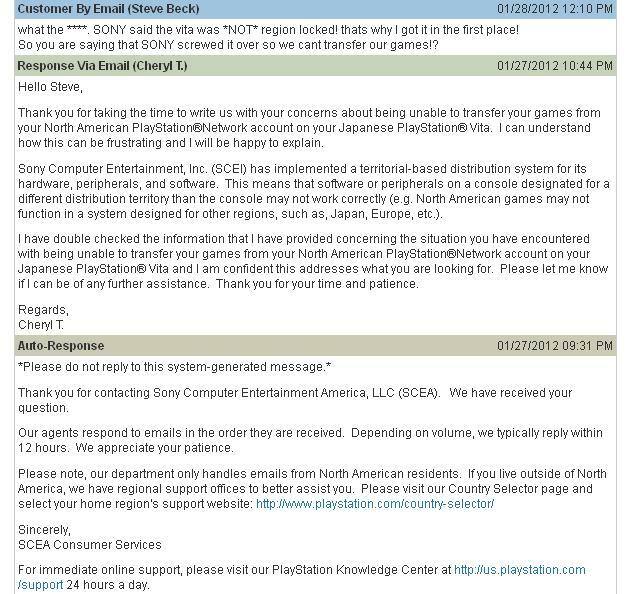 Judging from the above conversation I would say its very likely to be and I hope that Sony comes out and proves it otherwise, For now all I can say is that I hope this is an error on the customer support end and that the Vita is indeed region free.